House representative Antonio Lagdameo Jr. has put forward House Bill #5425 – recommending the Department of Education to integrate driver education programmes in the senior year curriculum. Lagdameo hopes to educate youths on the importance of being responsible drivers. “There is a need for the youth to ensure their own safety, the safety of their passengers and the pedestrians as well through the driver’s education programme,” he said. The Mindanao lawmaker said that most traffic-related deaths are attributed to lack of skills and knowledge in demanding road environments. “According to the data from the Philippine National Police-Traffic Management Group, driving error, overspeeding, using of cell phone while driving, bad overtaking and turning, among others, are the causes road accidents,” Lagdameo said. Lagdameo cited a report from the Department of Health that said unless the issue of road accidents are not solved, it will be the leading cause of death among Filipinos by 2020. The lawmaker said road accidents and injuries are predictable and preventable and that it is important for every motorist to understand the ways in which road safety can be successfully applied. “The government must also ensure proper education of the people especially motorists and future drivers regarding road signs, markings and traffic rules and regulations,” he said. 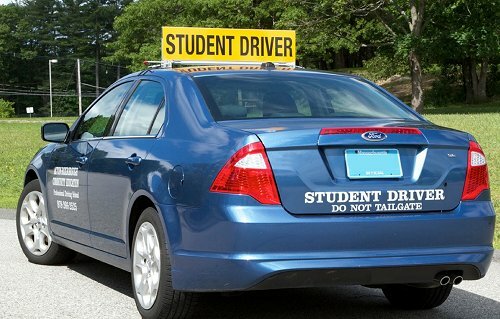 The bill say that a professional driving instructor will assist students to help them qualify for accreditation by ‘Tesda’ and afterwards be granted a driver’s licence by the Land Transportation Office.